In 2010, Zhang Yaxi was invited to make a public artwork - a monumental sculpture installation in black marble in South Korea. 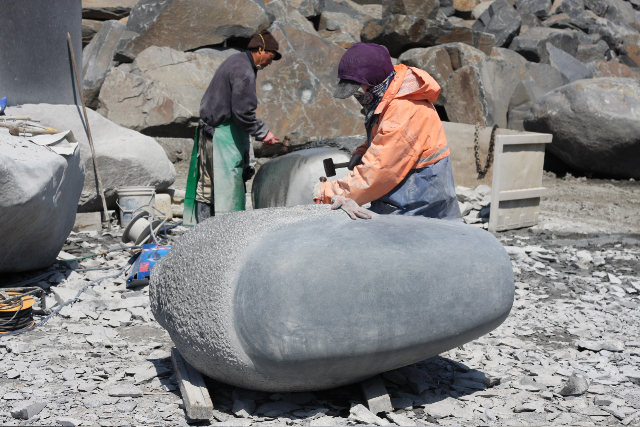 The black marble sculpture installation she created reprises the theme of an earlier small piece. This larger one is simply entitled "Black Marble". 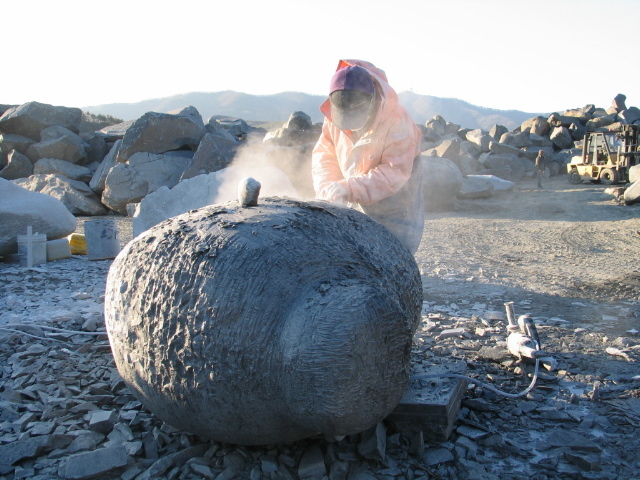 The installation artwork is actually composed of two separate marble heads, one of which is shown being roughed out in the first picture below. 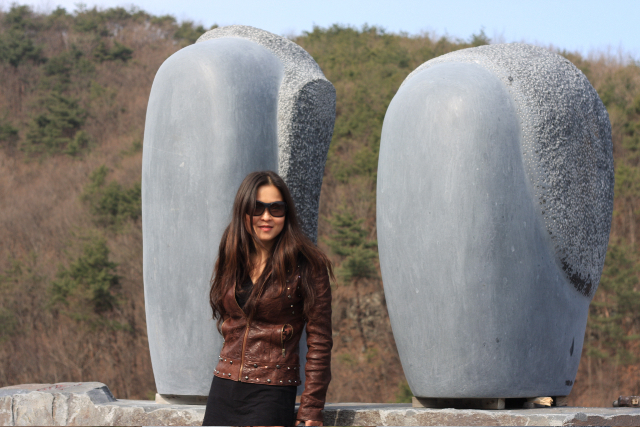 Chinese stone sculptor Zhang Yaxi poses next to her stone sculpture installation of two carved black marble heads. A strong, stylized artwork created in harsh climate conditions!